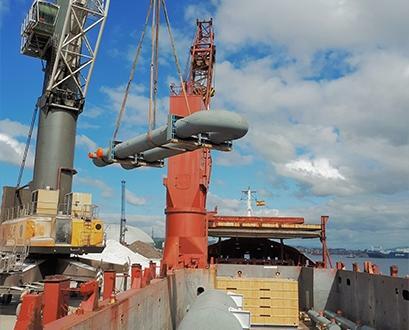 Coordinadora Internacional de Cargas are members in Spain and have successfully performed another super heavy lift project. 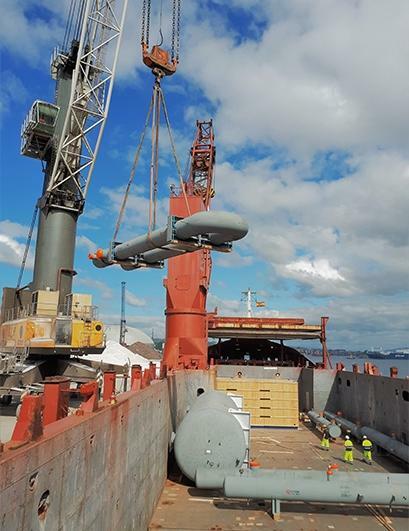 The cargo was transported from Spain to Namibia and given the amount of weight to be carried, the operation was divided into two shipments. 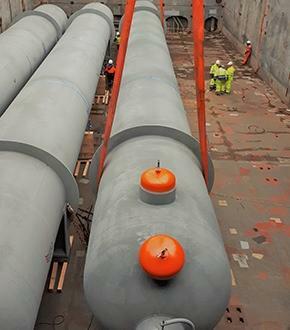 Six pieces at over 300tns each and two more at 235tns each were shipped in two different vessels from the Port of Bilbao in Northern Spain to the Port of Lüderitz, Namibia. Executive Director at Coordinadora, Pablo Higueras: "We believe in working closely with our clients to identify their needs. Once again, our working method and corporate philosophy has allowed us to, not only to meet their requirements, but to exceed their expectations. In this particular project, we had to work on a very tight and strict schedule and we were able to deliver in time and meet the commitments that we previously established with our client." 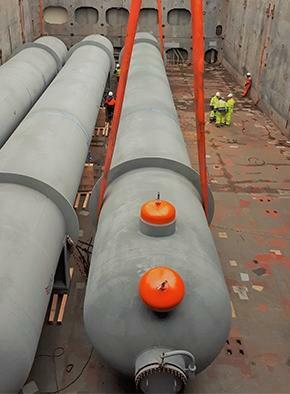 A well-handled project from Spain to Namibia by Coordinadora with satisfying results for their client.